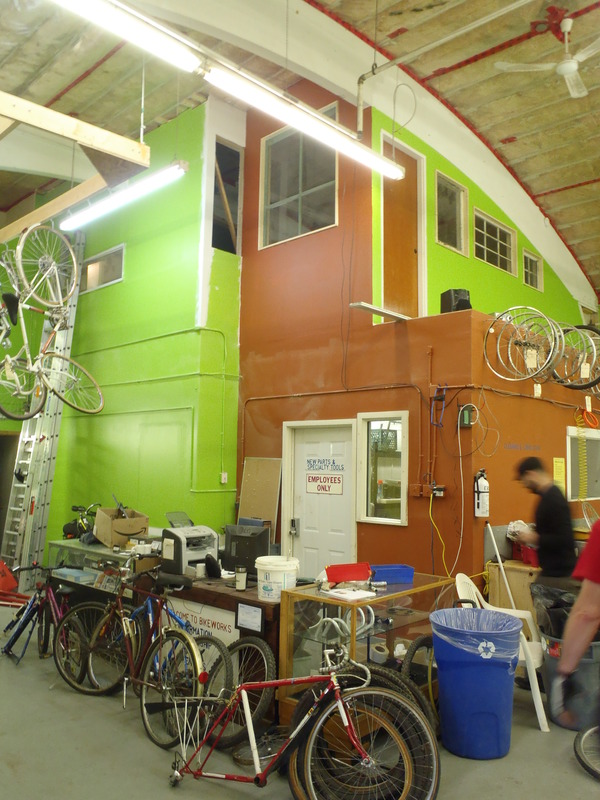 If you’ve been cycling in Edmonton for any length of time you likely already know about BikeWorks, the community bike shop operated by the Edmonton Bicycle Commuters’ Society. 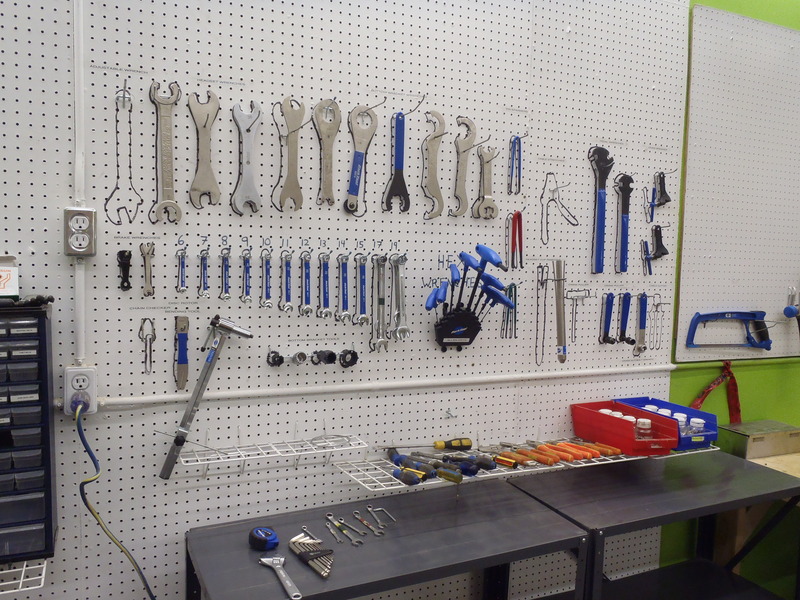 At BikeWorks you can learn to fix your bike while having access to a well equipped bike repair shop. 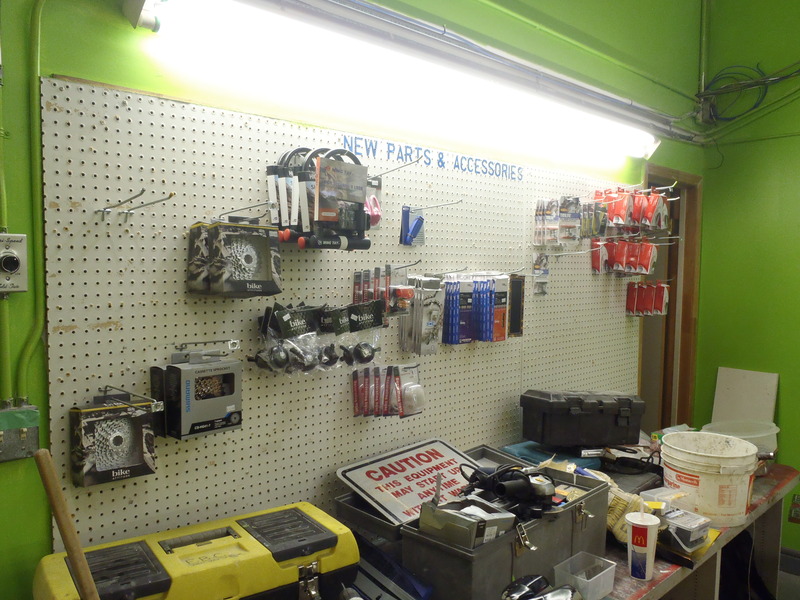 There is a large supply of used parts and essential new parts for your repair projects. Volunteers are on hand to help you and classes on a variety of topics are offered. If that’s not enough for you, you can buy reconditioned bikes as well as rent bikes and trailers. 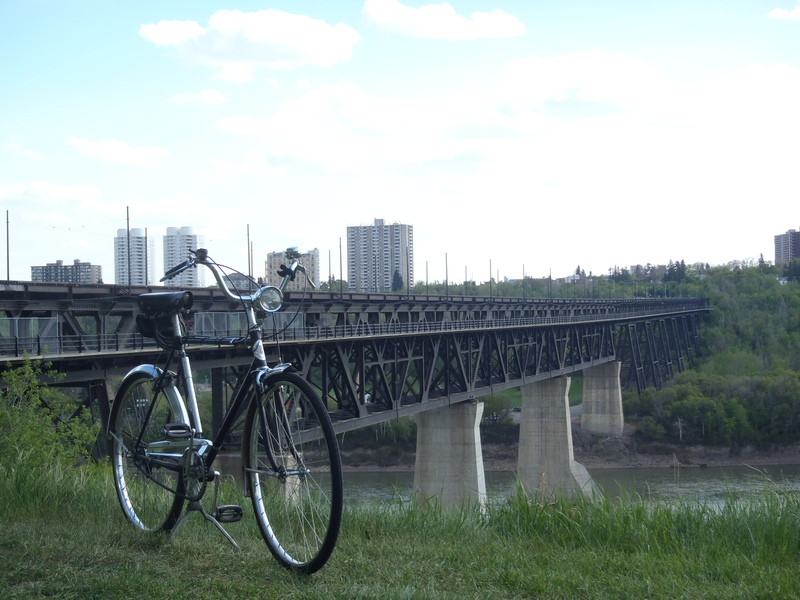 And it’s a hub of Edmonton bike culture! What’s not to like? 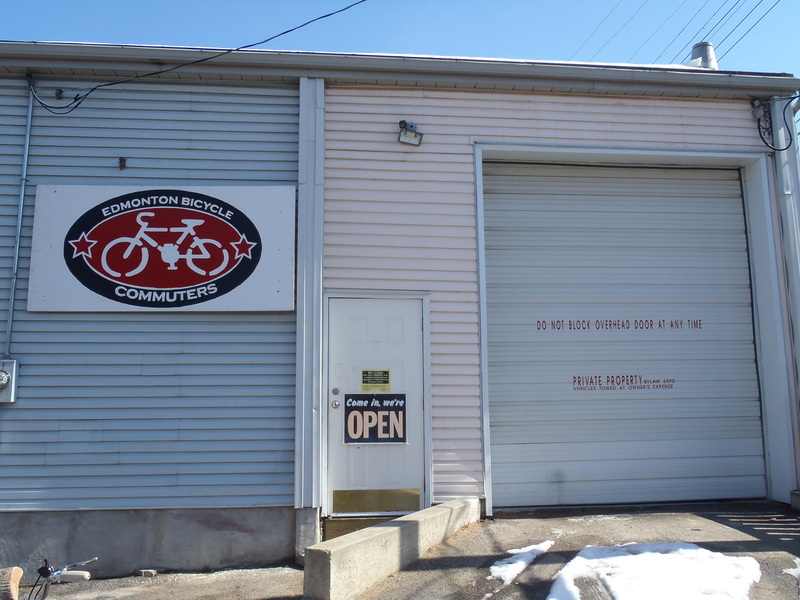 This Winter there was good news for the cyclists living in the North of Edmonton: EBC was opening a second shop,this one on the North side. It was particularly good news for me as the new location is only a 5 minute bike ride from my house! 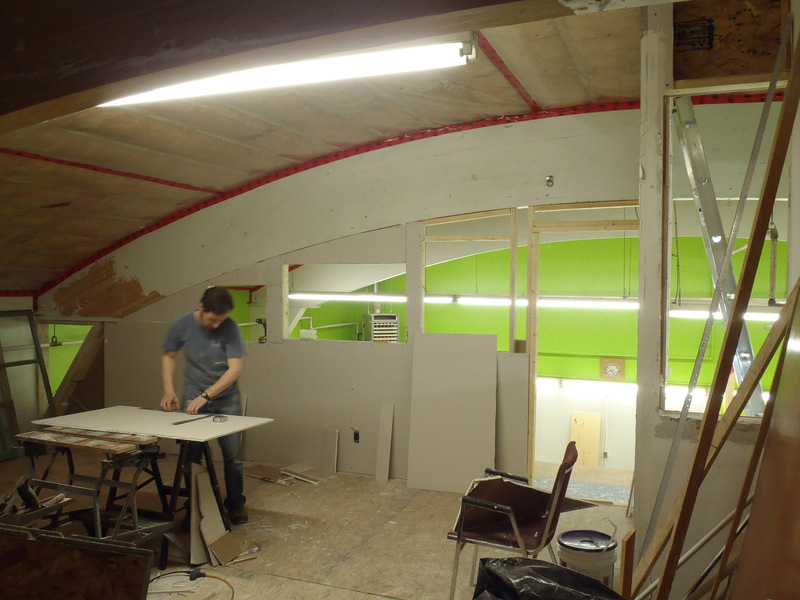 A call went out for volunteers to help with the renos and I was happy to get involved. 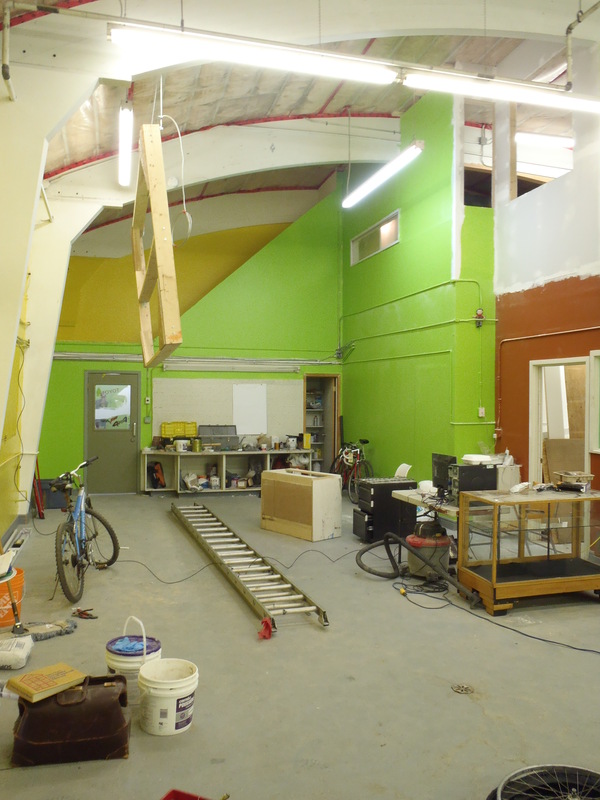 I put in a few hours now and then and the following photos show the progress from empty shell to functioning bike shop. 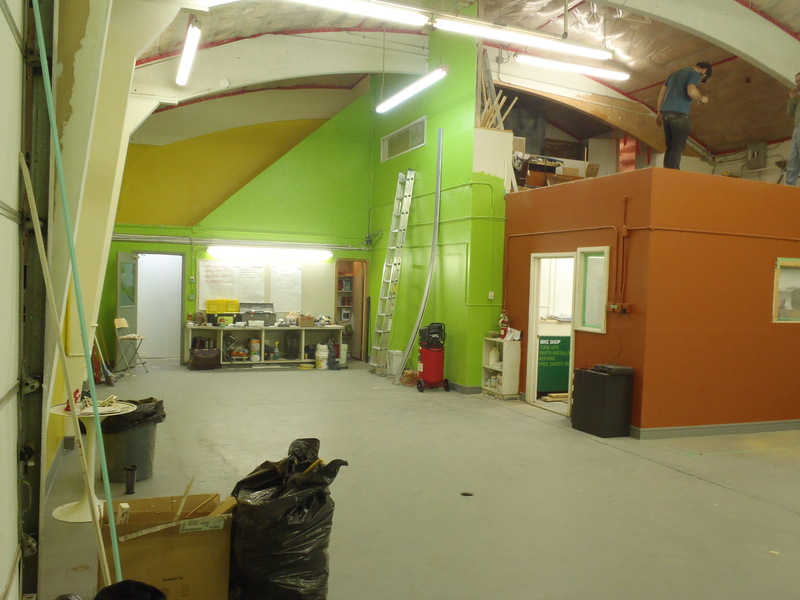 February: The new shop before renovations. I shamelessly stole this photo from EBC and by viewing it you are likely some sort of accomplice. 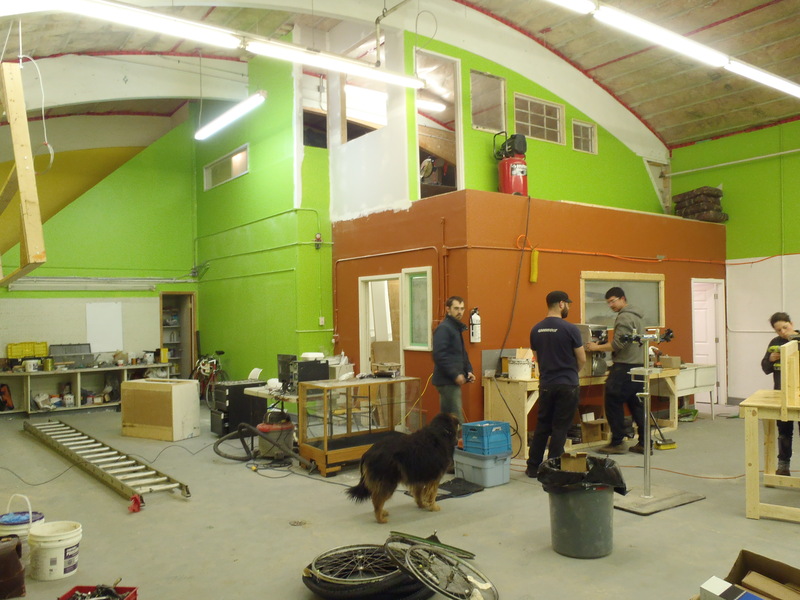 March 19th: Renovations are well underway. Walls have been cleaned, patched, primed and partly painted. The floor has been cleaned, etched and painted. 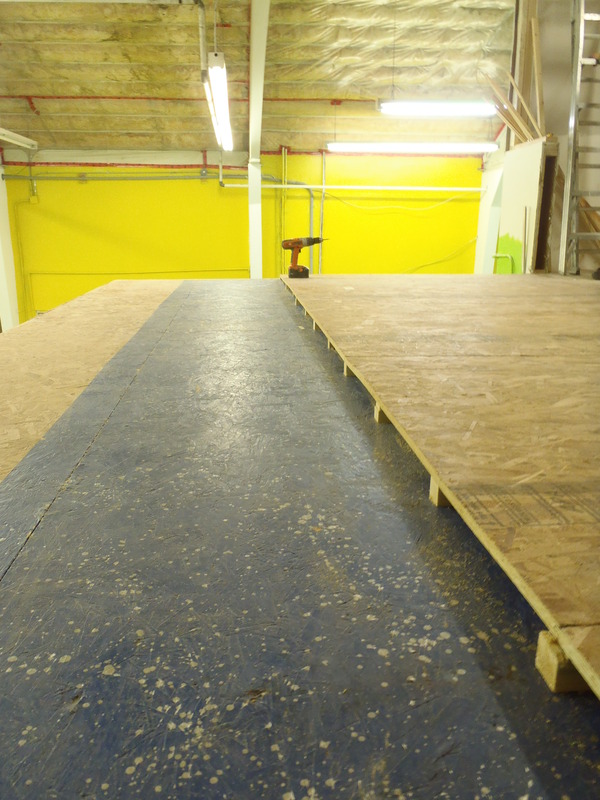 March 19th: The mezzanine floor wasn’t very level. This shows the floor after the old subfloor was torn up and a new one installed. Each off those strips under the new floor panels was individually tapered to match the wavy floor. I glad there are volunteers involved that are more competent than I am. 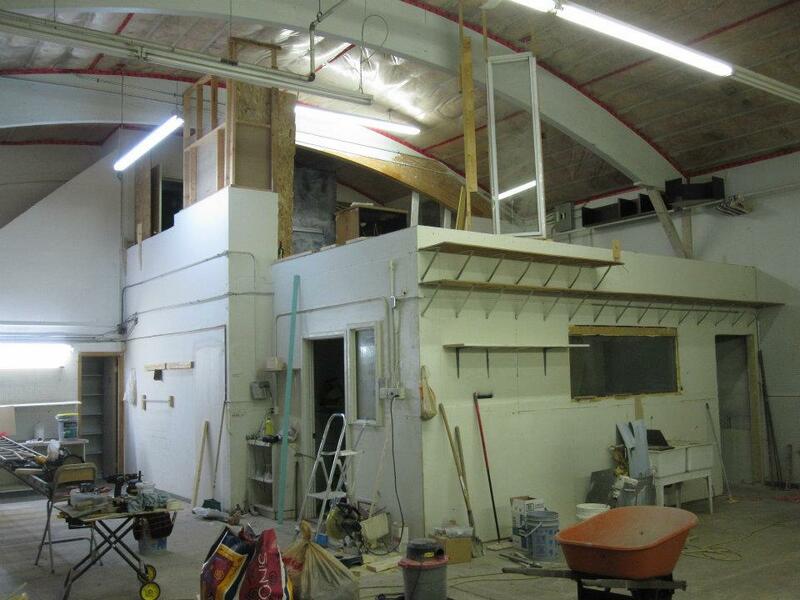 March 29th: The mezzanine wall is now being built. 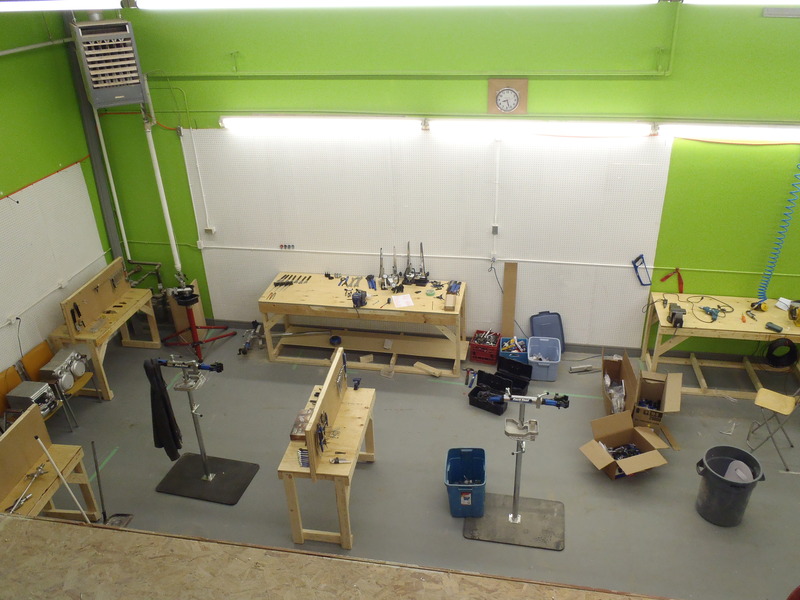 Workbench construction has begun. 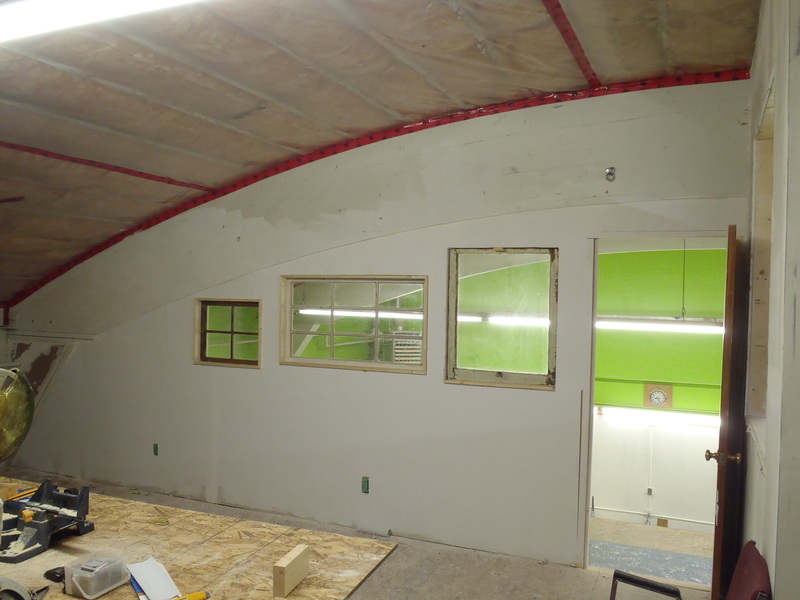 March 29th: The new wall will create a meeting room / office space with some sound isolation from the shop below. The wall has been framed to allow installation of salvaged vintage windows. 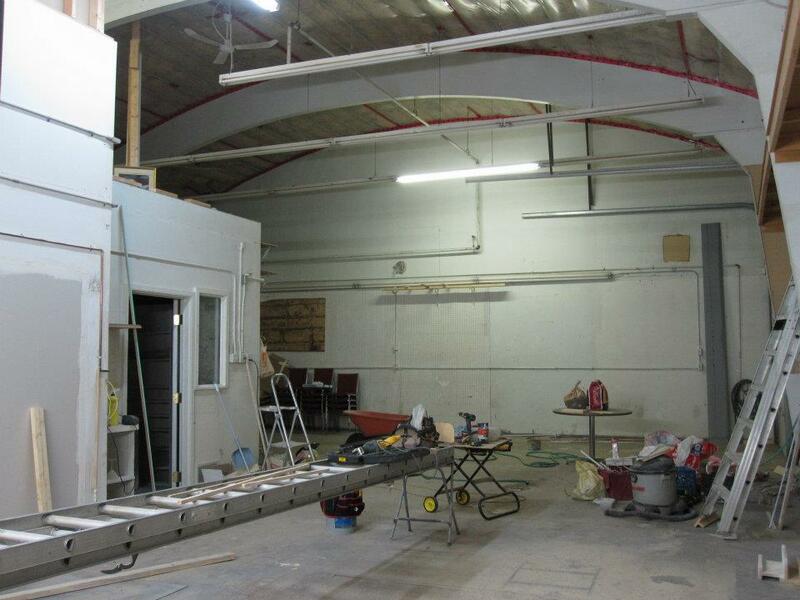 A door will give will give access a walkway along the edge of the mezzanine that overlooks the shop. For now the door will stay closed until a railing can be installed. 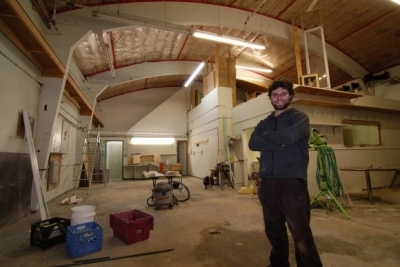 Pictured here is one of the masterminds and skilled workers behind the mezzanine reno. April 6th: This is the day before the official opening.Not the GRAND opening,that hasn’t happened yet. Limited services are offered at this point. 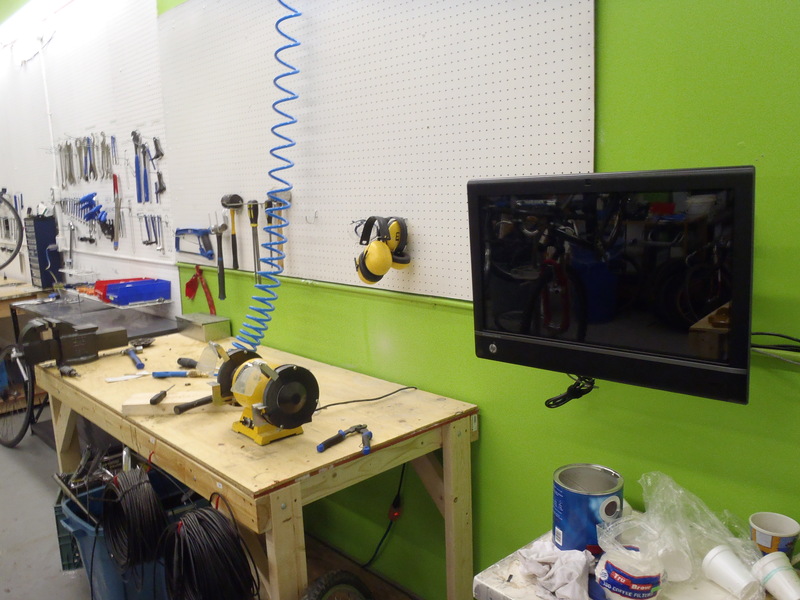 April 6th: The bike hanger is…hanging. 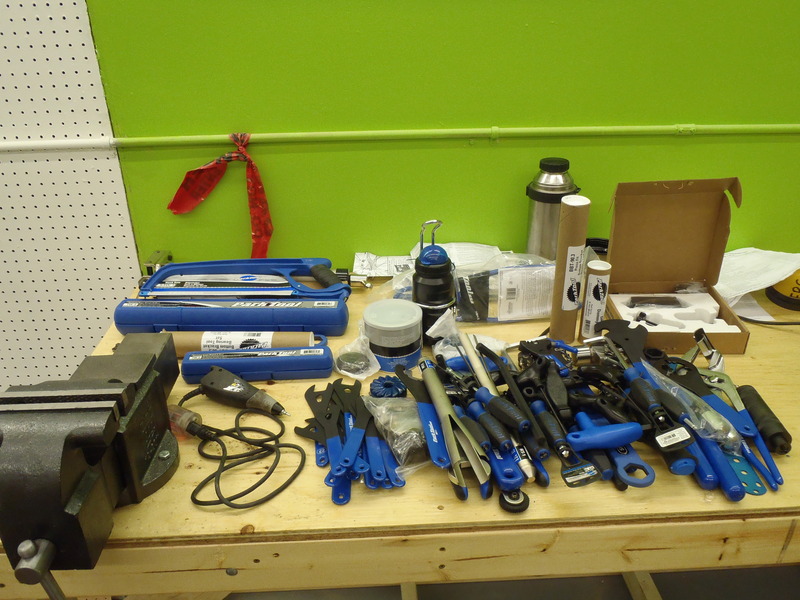 April 6th: Unpacking boxes of shiny new bike tools was fun. Etching “EBC” on all the tools was somewhat less fun. This only represents a fraction of the tools. 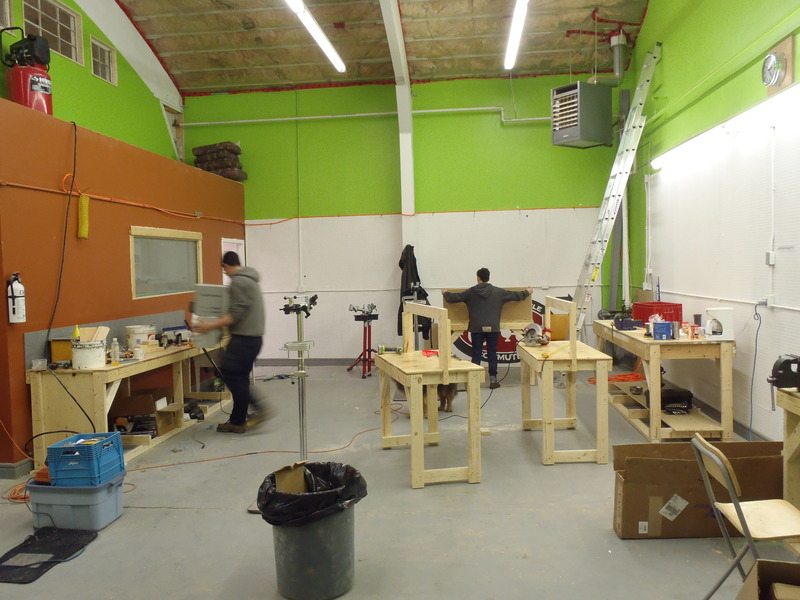 April 6th: The small individual work benches are almost finished. 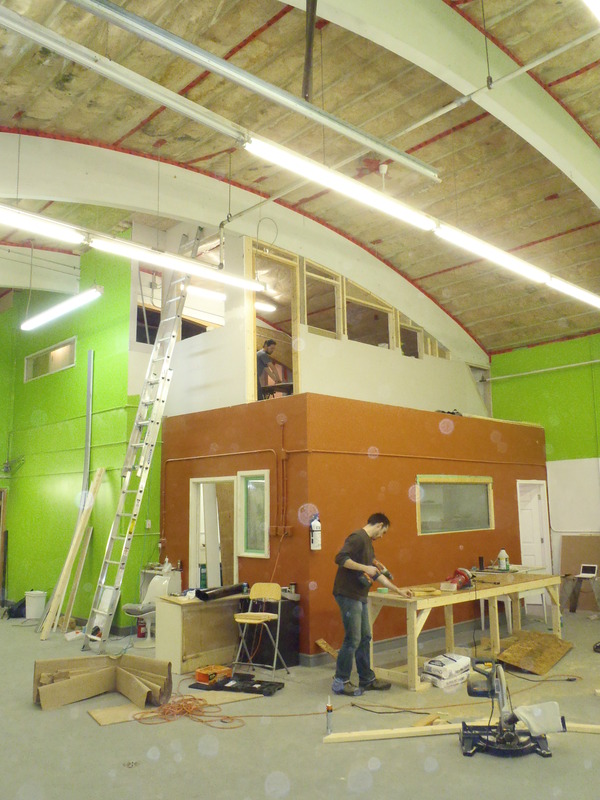 April 6th: The door and some of the mezzanine windows are in place. 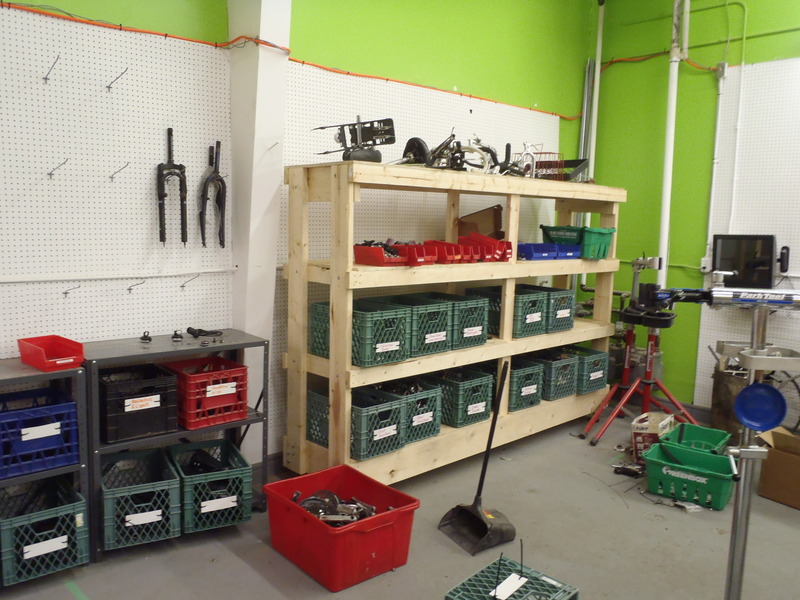 April 6th: Looking a little like a bike shop! 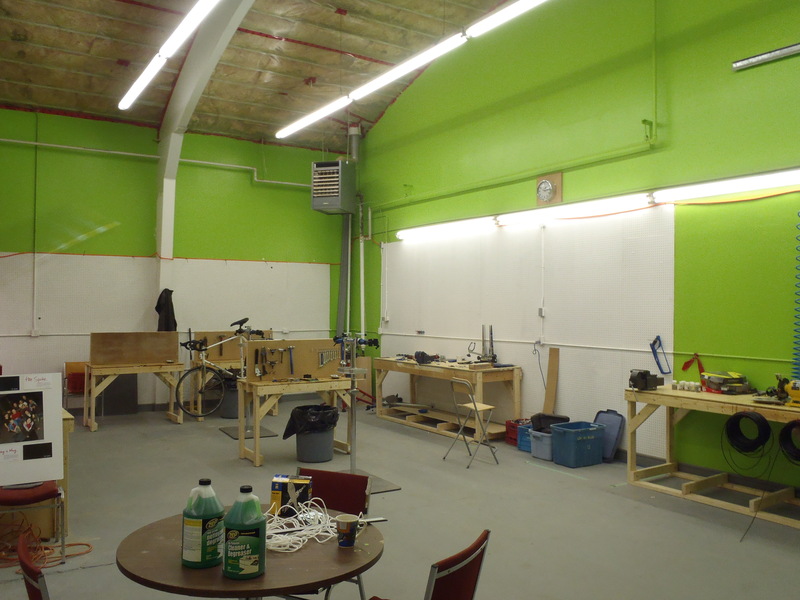 April 7th: BikeWorks North is open for business! May 24th: There is a big jump in time here as I didn’t take any photos for almost two months. I’m a bad blogger. 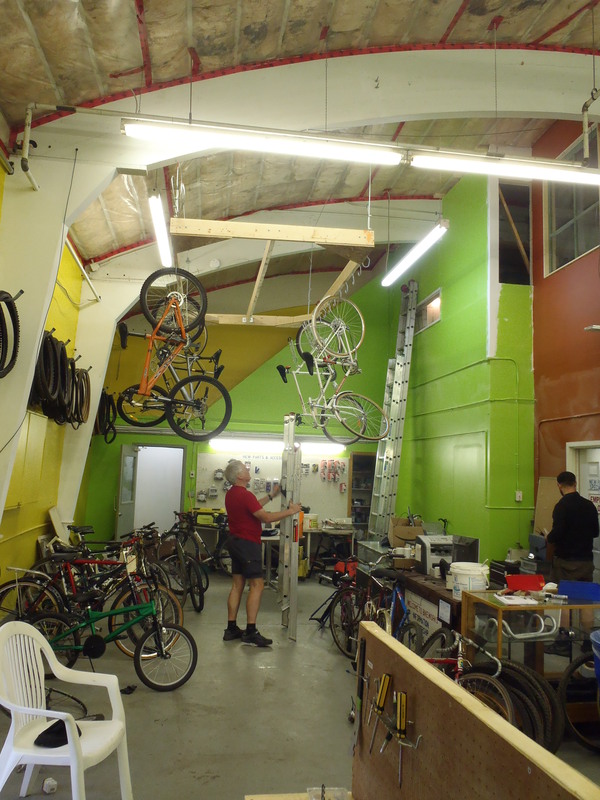 At this point BikeWorks North is open Thursdays, Saturdays and Sundays and is offering a nearly full range of services. 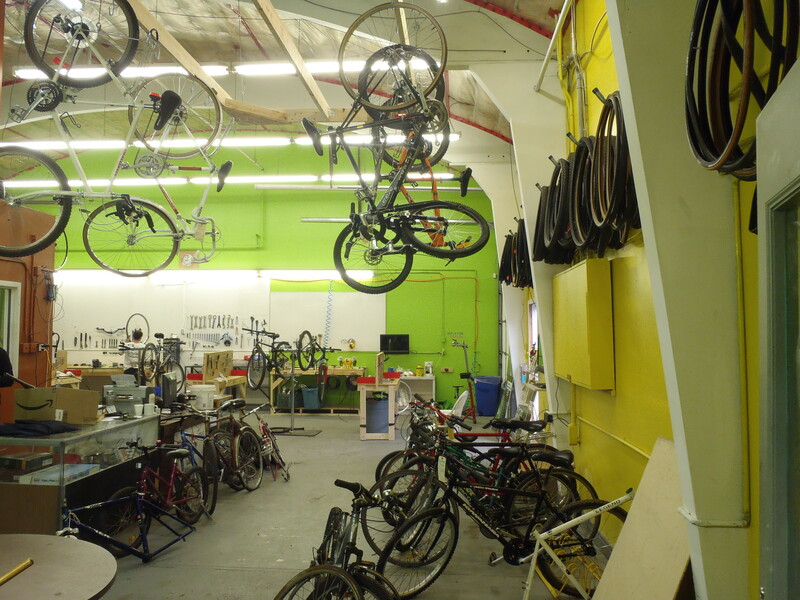 As you can see, the hanger is now populated with reconditioned bikes for sale and the floor has lots of bikes for overhauling. May 24th: Mmmmmm, delicious bikes…..
May 24th: A growing selection of new parts. More to come. May 24th: I haven’t tried the touch screens yet. 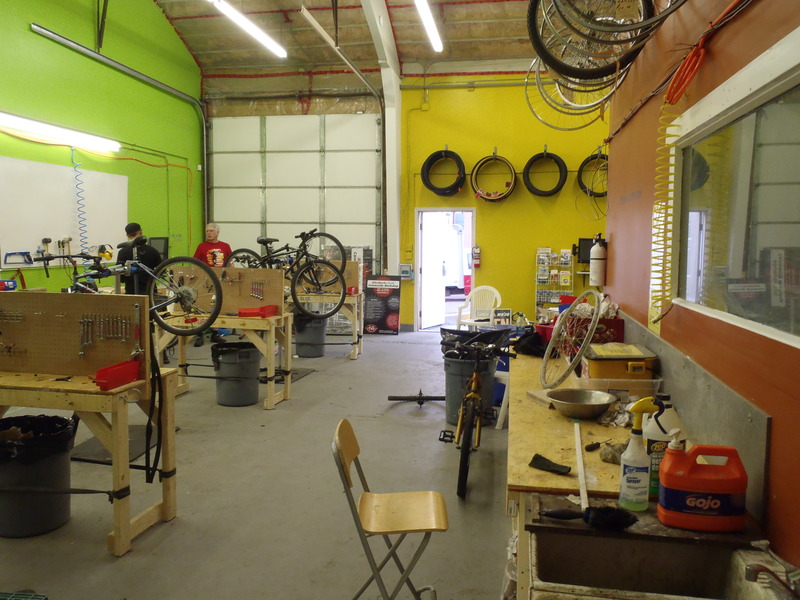 May 24th: Bike repair is happening! On the last Monday before May 25th we non-francophone Canadians celebrate Victoria Day. This is in recognition of Queen Victoria’s birthday and also is the day that we recognize the current sovereign’s birthday. Officially, that is. In actual practice, everybody that I know refers to it as “The May Long Weekend” and gives no real thought to distant monarchs, either current or long deceased. Those who care for gardening mark it as the point at which one can feel fairly safe that frost is not going to strike overnight. For many it is the first camping weekend of the year, often plagued by swarms of drunken idiots. 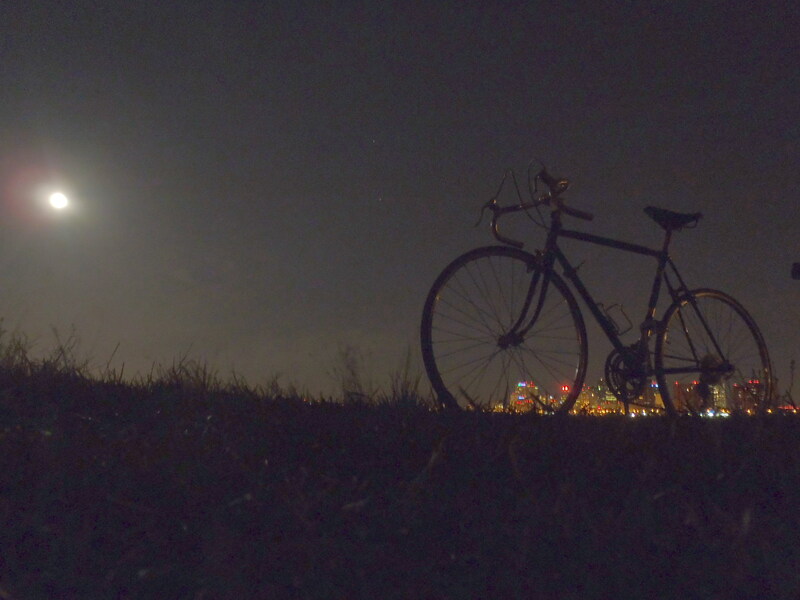 For myself, it was a pleasantly bikey weekend. Over the course of the weekend I made some real progress with my bike maintenance tasks. I finished lacing the new rims for my Raleigh 20 and trued the rear wheel. The front still has to be trued. I am inching ahead towards being able to ride that bike again. I replaced two broken spokes on the ’65 CCM and trued the wheel, putting the bike back in riding condition. I also replaced the punctured tube on the Apollo and put a new cassette on the Kona Jake. All in all, the little fleet is slowly improving. On Saturday I woke up early and took Nishiki-san for a spin on some of the roads North of the city. I was out of the house by 6 o’clock and was able to ride up 82 St. without worrying about traffic. This is a great route out of the city early in the morning as it brings you all the way past the Henday to the Forces Base. It was pretty cold ( 3 degrees) and windy but still a great ride. I didn’t take many photos as my fingers were getting numb from the icy breeze. Once back in the city I went to the Downtown Farmer’s market which had set up in its outdoor location for the first time this year. The vendors were looking pretty cold and many were wrapped up in blankets. I bought a pile of food including a basket of excellent mushrooms from Mo-Na Foods. Man, I missed my mushroom connection during the off season. Although I still haven’t quite mastered the panorama mode on my camera, I think this picture really shows how flat it is around here. Nishiki-san can handle a little unpaved riding. 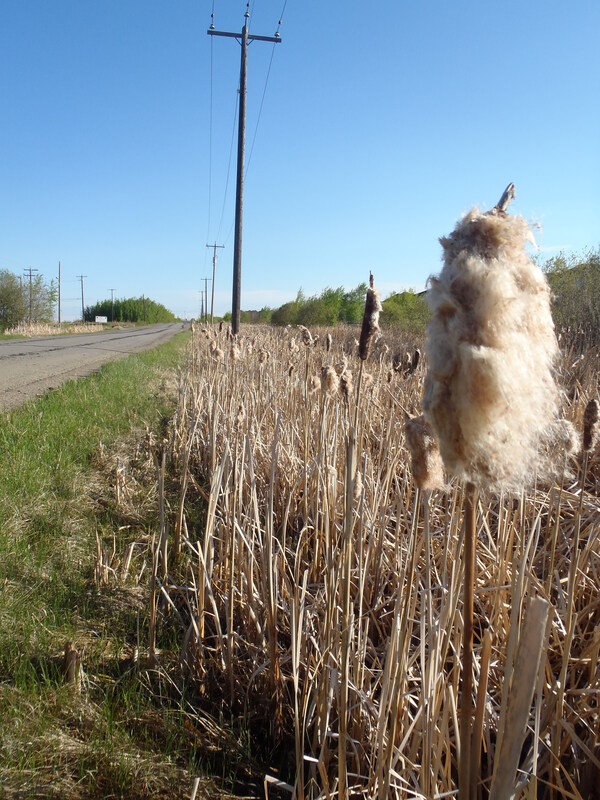 Last years cat tails alongside a weirdly deserted 141st. On Sunday I had a few errands to run so I took the opportunity to take the newly recommissioned CCM for a leisurely spin. Cruising along the streets on the old 3-speed was very relaxing and I spent the first bit of the ride with a big goofy smile on my face. I’ve missed this bike. I went to MEC to pick up a cassette for the Kona Jake and then down to Earth’s General Store for some sundries. 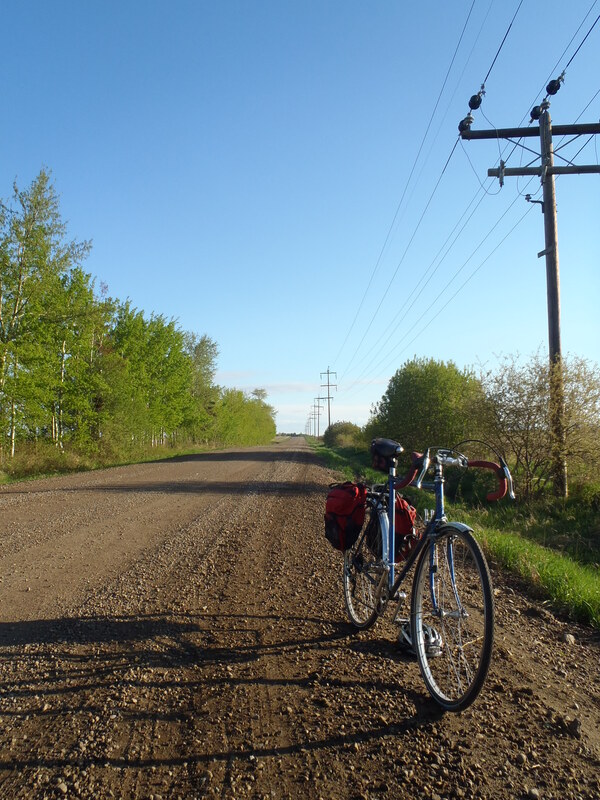 The weather was excellent and the river valley trails were well populated with holiday cyclists. It was a great day of city cycling. POV shots are also required when crossing the High Level. 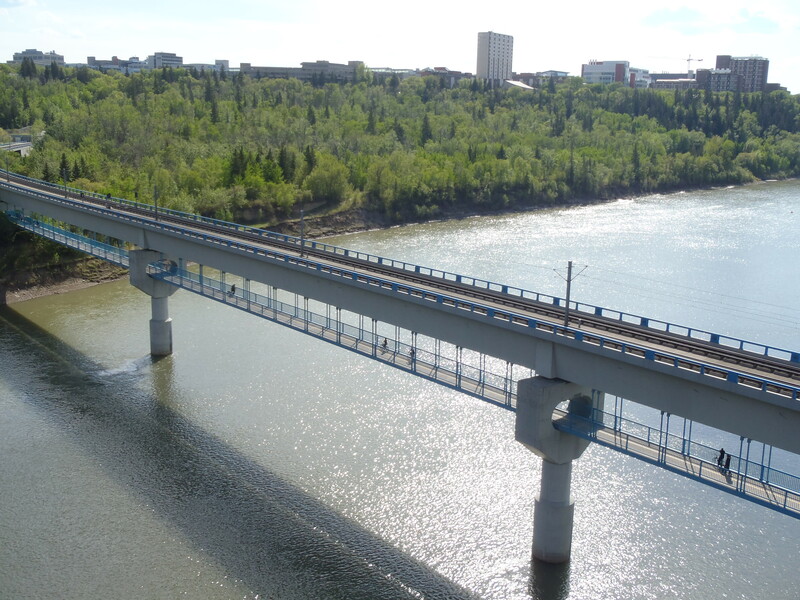 The bridge for the Edmonton Transit LRT runs next to the High Level. 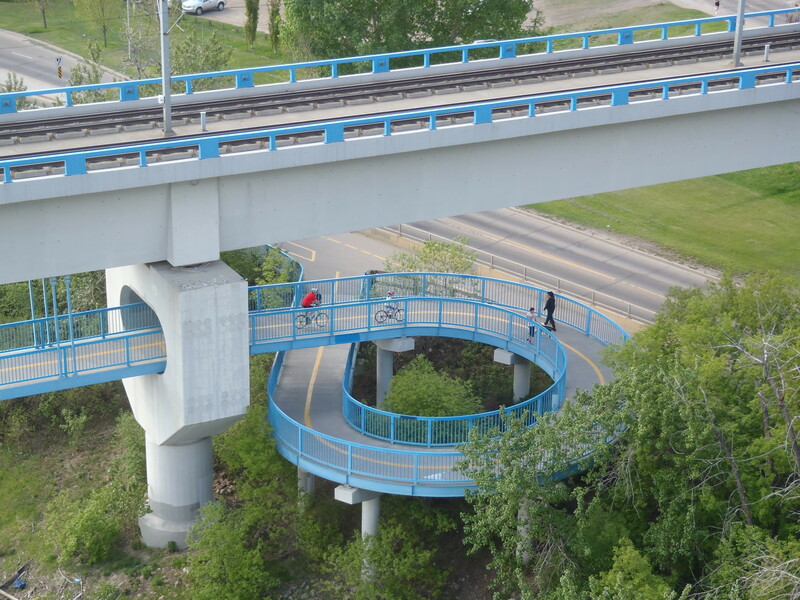 The pedestrian walkway underneath the railway connects to the river valley trails and was quite busy. There were lots of cyclists. This ramp off the bridge is fun to coast down. Yes, I have a new super power. Acquiring it was surprisingly easy. There was no shower of cosmic rays, no radioactive spider bites and no freak lab accident. The power was bestowed upon me by a more prosaic means: a YouTube video. Thanks to this video I can now remove and reinstall a bicycle tire with my bare hands, without any tools! GASP! I had been unaware of how weak my tire changing technique was. A short time ago I broke a tire lever trying to install a particularly stubborn tire. Armed with my new power I was a able to remove and reinstall the same tire, on the same rim with my bare hands. Although I had previously read a description of this technique here but it didn’t really click with me until I saw this video. 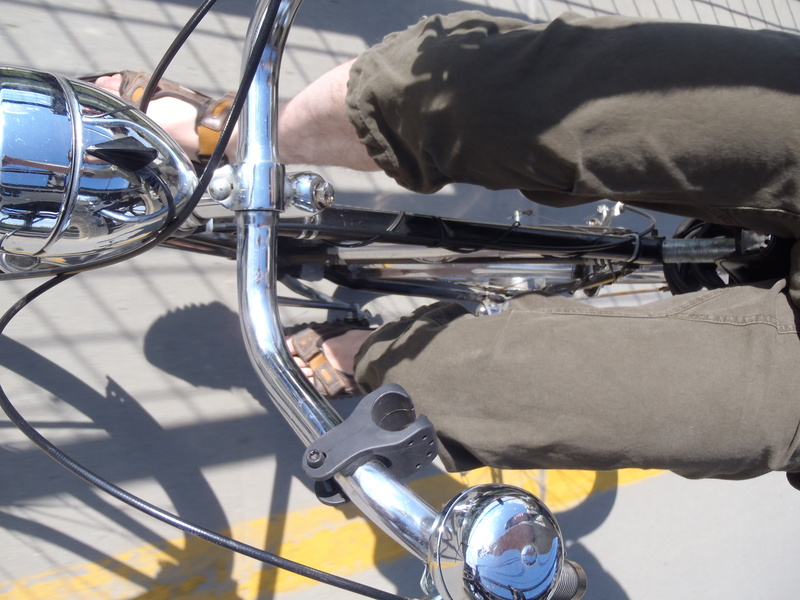 It is so surprisingly simple that you should immediately run to your bike and try it for yourself. GO NOW! I’m sorry about the clunky title of this blog post. 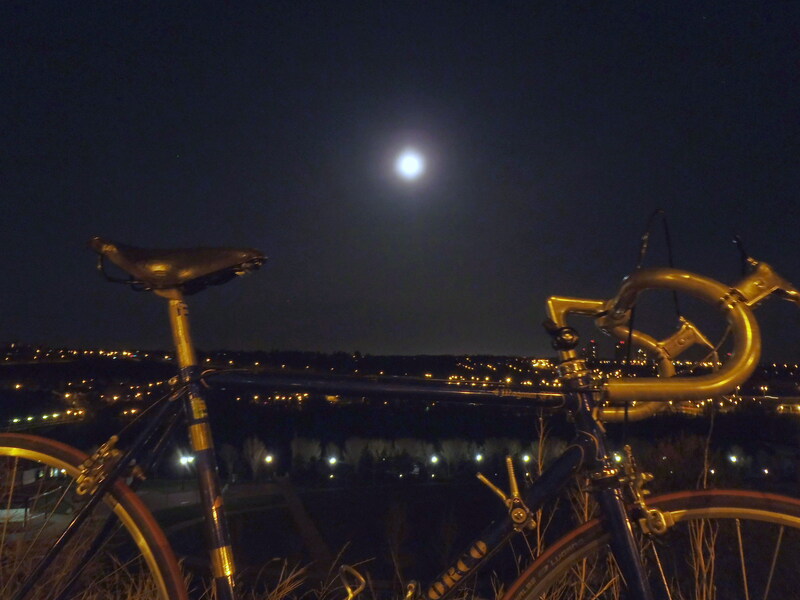 I was originally going to title it “Supermoon Ride”. However, a quick trip to Wikipedia informed me that the term supermoon was coined in recent decades by an astrologer. As I am pretty firmly in the NON astrology camp my choice seemed obvious. 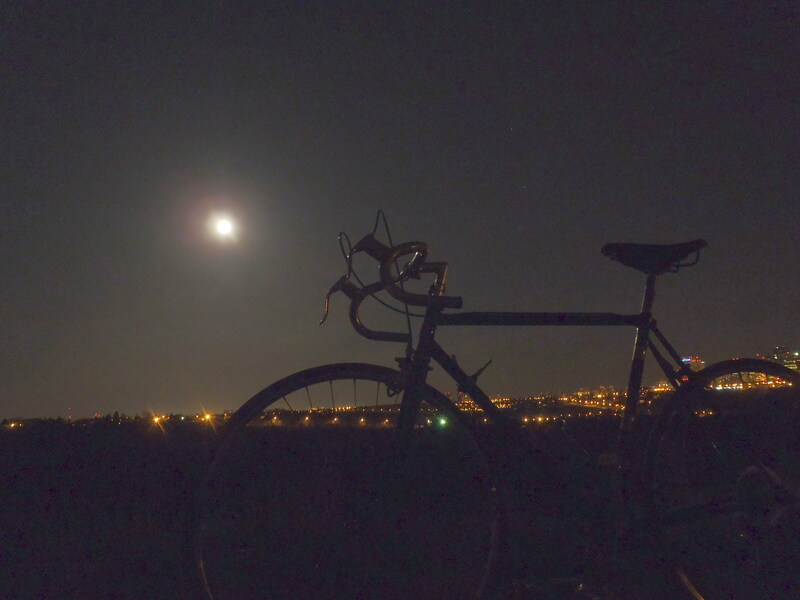 On Saturday night the sky was clear, the moon was bright, and I was awake at one a.m. A bike ride seemed in order. When I woke my wife up to tell her I was headed out she sleepily told me to take pictures of the moon. I was doubtful that my little point and shoot camera would be able to capture anything worthwhile, but I dutifully tucked it into my shoulder bag. I was planning on taking my recently purchased Norco Magnum GT for a fast ride so I decided not to pack my somewhat bulky tripod with me. In retrospect, this was an obvious mistake. The riding was fantastic. 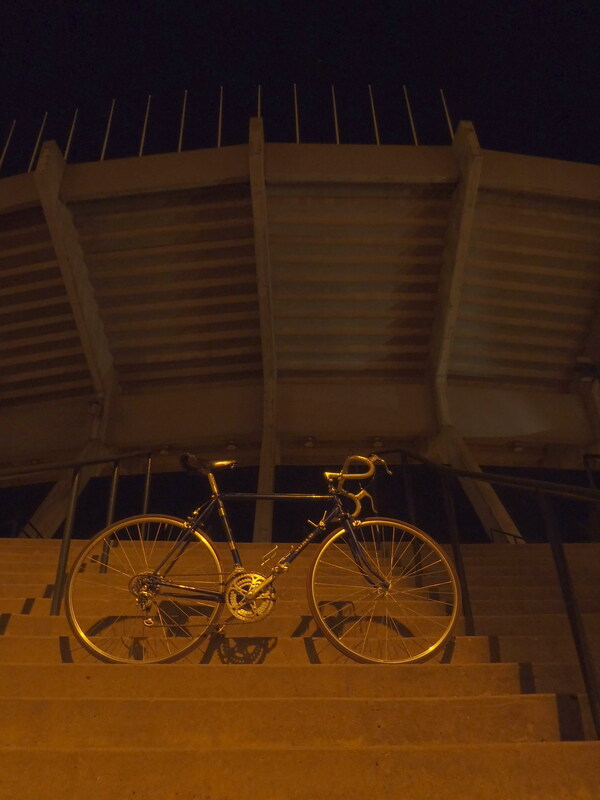 The night was cool without being cold, the traffic was light and the bike was ridiculously smooth rolling and fast. 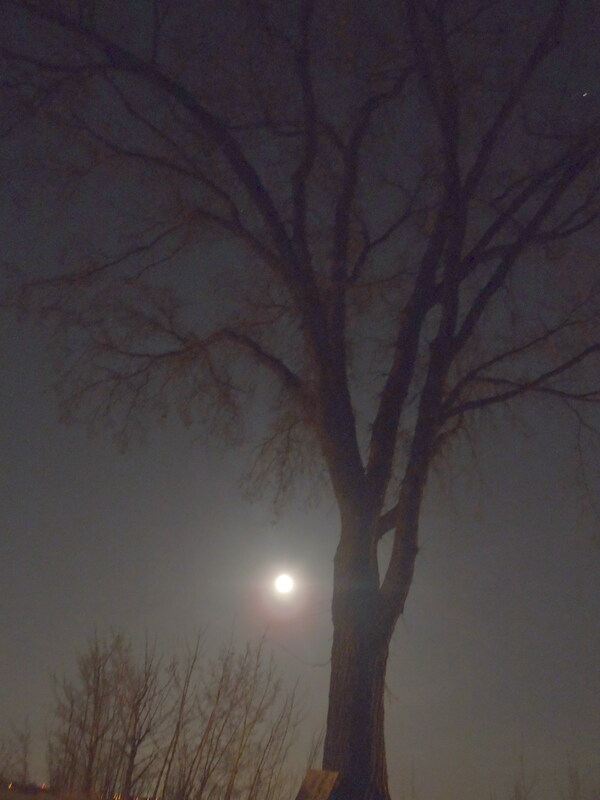 And, of course, the moon was brilliant and beautiful. I must say, however, that any increase in the apparent size of the moon was not discernible to me. 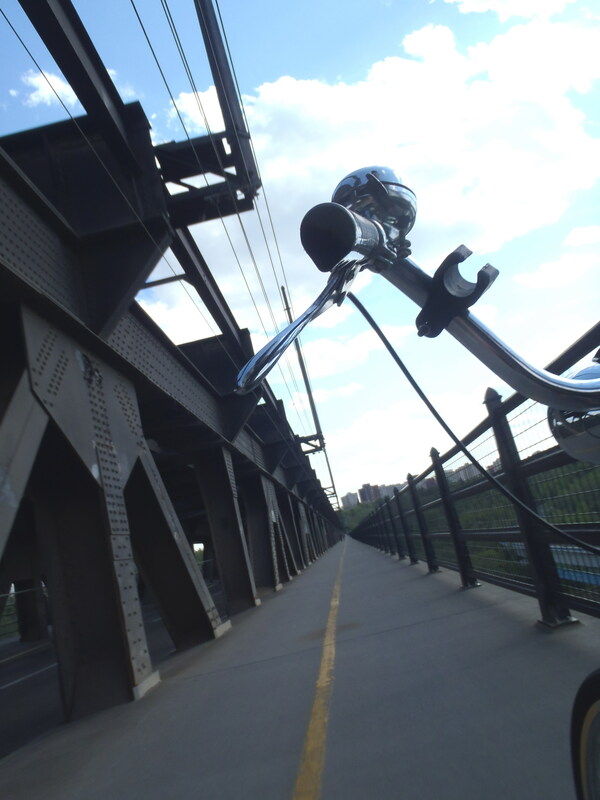 I zipped through quiet residential neighbourhoods into downtown. There was still a good amount of carousing going and I had a pretty amusing short conversation with an intoxicated pedestrian while I waited for light to change. 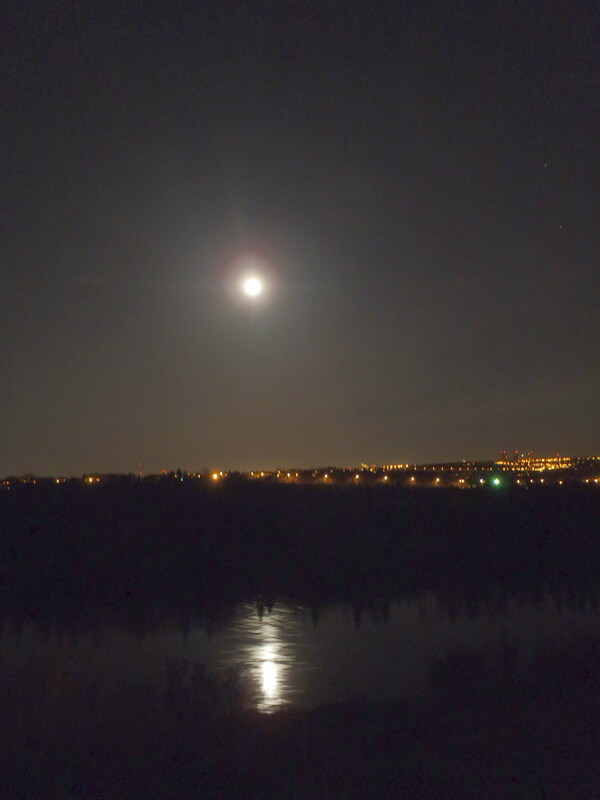 I headed back North along the top of the river valley enjoying the moonlit view of the river. While the ride was great the photographing was only OK. Without the tripod, it was more than a little difficult to hold the camera steady enough to prevent blurry photos. It mostly involved a lot of holding my breath and trying to find objects to steady the camera against. Sometimes that object was the ground, requiring me to lay flat in the grass. In all, the results were at least as good as my Midnight Photoshoot last year when I did bring the tripod but was using my older and lesser camera. That’s progress. I was back home by 3 a.m. and postponed the photo culling until the next day. A keen eye will be able to guess which photos I took for my wife (hint: there are no bikes).